Though I spend most of my free time in the summer angling for access to pools, I'd never dared to dream about knowing anyone in the city with a classic backyard swim setup, the likes of which you generally only find in the suburbs or high-end beach houses. That is, until recently, when I spotted a Facebook post for a room opening up in a friend of a friend's Crown Heights rental, a stately old house with a massive backyard and a large in-ground pool. 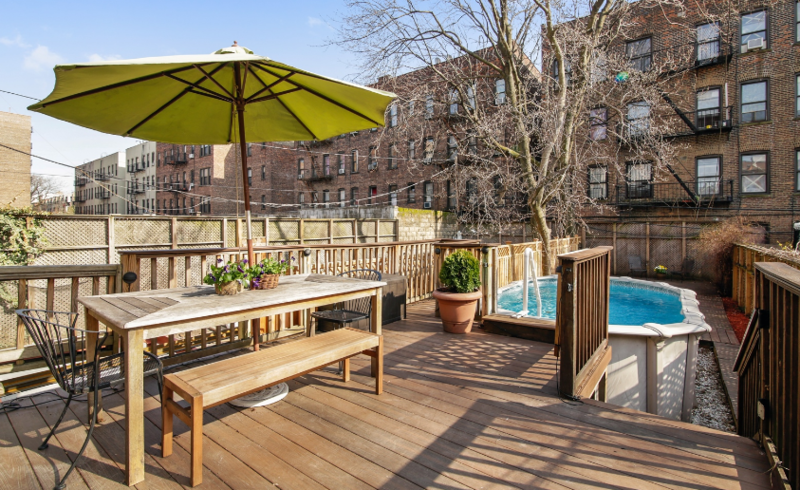 This $1.7 million Prospect Lefferts Gardens house has an above-ground pool in the backyard, a feature that used to be much more common in NYC homes. 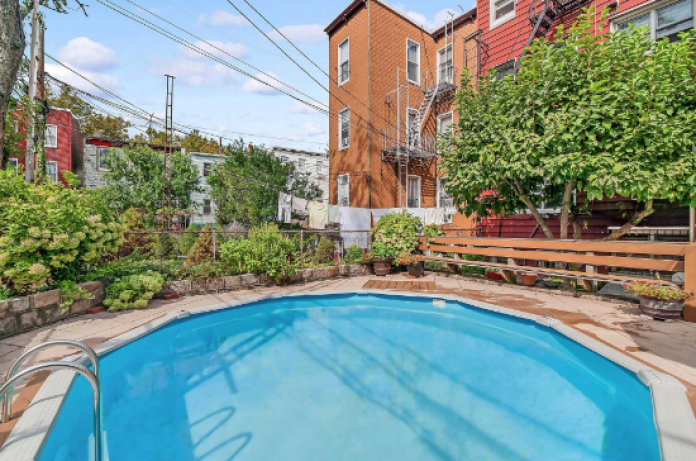 Before brownstone Brooklyn started to gentrify a few decades ago, it wouldn't have been surprising to find a retro above-ground pool in a home's backyard. 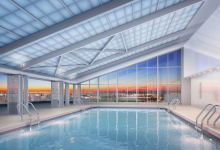 "Years ago, above-ground pools were very prevalent here, but people started getting rid of them when they started buying up Brooklyn houses," says Halstead broker Peggy Aguayo. 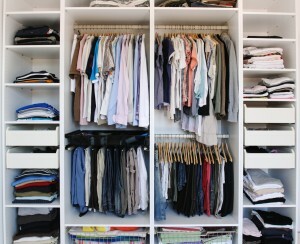 You'll still find them, but more often in homes that have had the same owner for decades, as above-grounds haven't been in vogue among buyers for years. In fact, Aguayo notes that when newer buyers started moving into Brooklyn, they would even specifically stipulate in the closing contract that the pool had to be gone before they moved in. "It's a real old-school Brooklyn thing to have an above-ground pool in your little backyard," concurs Barbara Ann Rogers of Engel & Volkers. "The people I know who have above-ground pools bought their houses in the 70s and 80s." If you want your pool any way you can get it, including these decades-old relic, you may even face less competition from other buyers. "I took some clients to see a listing with an above-ground pool recently, and they were just like no, this is so old-school," says Rogers. "But they didn't want an in-ground pool, either. They just thought it was ridiculous to take up most of your backyard with this pool you can use six months out of the year at most." 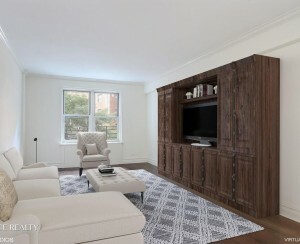 This five-bedroom home in Bay Ridge features a pool and patio in the backyard, and sold last summer for nearly $4 million. 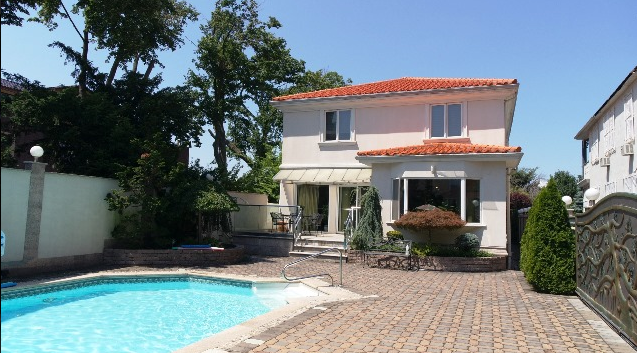 Unsurprisingly, when you start combing the listings, homes with in-ground pools in the city are very hard to come by. We asked StreetEasy to crunch the numbers, and out of 9,600 active house or townhouse listings on the site last year, just 105 of those mentioned an "in-ground pool" in the description. "A yard is hard to come by in NYC, let alone a large enough outdoor space to house an in-ground pool," StreetEasy spokeswoman Lauren Reifflin tells us. "Needless to say, pools are a rarity in NYC. You see them pop up in boroughs where there are more single-family homes on larger lots that would allow for this type of amenity." There weren't any neighborhoods that had an overwhelming concentration of listings with backyard pools, said Reifflin, though there were a handful in farther-flung neighborhoods like Mill Basin and Bay Ridge. 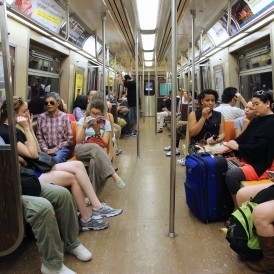 "They're not at all common, and not in what you'd call 'brownstone Brooklyn,'" says Rogers. 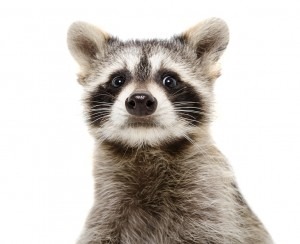 "You definitely find them in farther out areas like Mill Basin with larger yards." Out in Malba, Queens, this home is currently on the market asking $3.88 million. Aside from the obvious expense involved—HomeAdvisor estimates the average cost of installing a pool in New York at around $34,000—even homeowners who can foot the bill run into the classic New York conundrum: lack of space. Aside from the generally small size of most yards, even in the outer boroughs, city regulations stipulate that in-ground pools have to be set back a certain distance from the edge of the lot, which also could mean that the pool size you'd end up with might be too small to be worth it. "The city has very specific safety regulations regarding installation of in-ground pools, and most lots in Brooklyn are not over 25 feet wide, some even less," says Rogers. "The city specifies that if you're going to put in a pool, and your lot is 25 feet or over, you have to leave five feet around between the edge of the pool and the lot line." For a lot that's under 25 feet, that rule changes to a requirement for a three foot border. "So if you have a 17-foot yard, you're not looking at more than a lap pool," says Rogers. On top of that, in the more dense areas of the outer boroughs, you may not get enough light for the kind of poolside sunbathing you'd envisioned. "In most New York City backyards I've seen, there's not that much direct sunlight [because of other buildings nearby]," says Russell Goss of Blueberry Builders. "And before you get into any kind of architectural and code issues, I think there’s kind of a real estate issue—just to have the space to do it. You’re fairly committed to eating up most of your backyard for having a shaded pool in a climate where you can only use a pool for one third of the year." This $1.35 million spread in Whitestone, Queens, is fully set up for summer entertaining, with a patio and deck chairs surrounding the backyard pool. As you've likely guessed by this point, to add an in-ground pool (or even safely maintain one) in a New York City backyard comes with plenty of attendant construction and code hassles. Besides the requirements about the pool's proximity to the edge of the lot, says Rogers, one of the big requirements is for a four-foot high fence around the edge of the pool, with a self-closing child-proof gate. And while your home insurance policy may well already include coverage for pools, says Jeff Schneider of Gotham Brokerage (FYI, a Brick sponsor), you may want to consider raising the limits on your liability coverage, to account for the extra risks introduced by your new pool. 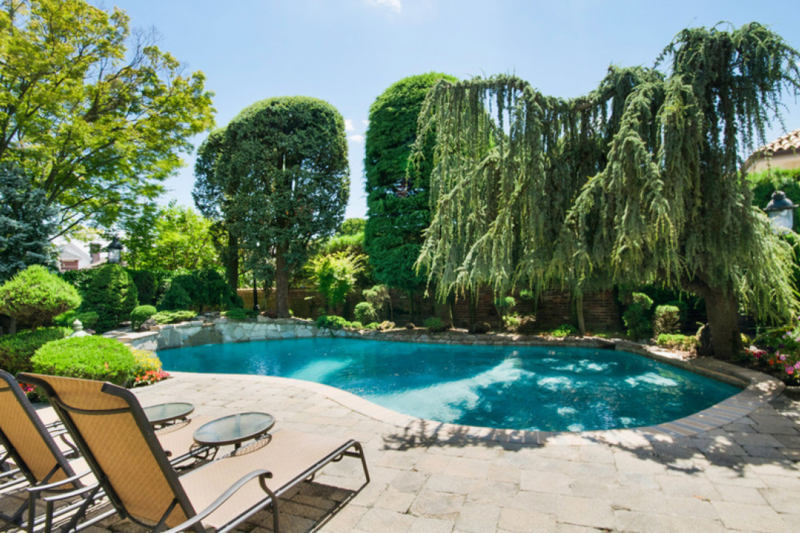 The rare pool listing in Williamsburg, this $2.995 million home on McGuiness Boulevard recently went into contract, just in time for summer swimming. While there simply aren't enough listings with pools to get a concrete sense of how they may affect a home's value, you should only add one into your yard if it's something you truly want, rather than with an eye to increasing your future sales price. "I don't know that it would actually add that much to a home's value unless you were selling to a very specific person," says Rogers. "It's not something you can use year-round, it's a pain in the neck to take care of, and there are all these regulations." While some buyers might shell out a lot of money for a pool, adds Aguayo, "Others might find it a detractor—they'd consider it a hassle." So, as it turns out, that miraculous Crown Heights pool was most likely just a fluke. And unless you've got endless space and money, there are other, far more valuable assets than a cumbersome pool in your backyard. Namely: a friend with a pool. If my building gets a pool, will it raise our property values?